That’s when police say the suspect produced a handgun and fired at officers. The officers were not hit. An officer caught up to Stanford in an alley behind 2109 N. Fort Ave. The release says Stanford “presented a threat with the firearm and refused to comply with verbal commands from the officer” and the officer shot Stanford. Police have not yet released the name of the officer involved. Note the address, 2109 N. Fort Avenue. Not noted at the time, was that a black man with a concealed carry permit, risked his life to aid a police officer in the middle of a gun fight, when the officer’s firearm had jammed. That guy sat back up on his knees and looked directly at me and that’s when I was telling him hey stop, hey stop– you can live. I mean it doesn’t have to end here. You can live,” Pendergrass yelled. “There is an ambulance in front of the house that can get you help right now. He looked at me, looked at his gun and I said no don’t look at the gun. 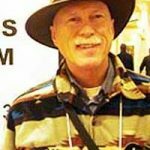 With me saying that, Zinke was able to stop moving around and bring his attention back and it was at the same time that he brought his attention back that we both ended up– the man reached for the gun and we shot him. SPRINGFIELD, Mo. — A Springfield man was recently given one of the top honors in the state from law enforcement. Jerry Pendergrass is a conceal carry owner who turned citizen cop in a life or death situation. 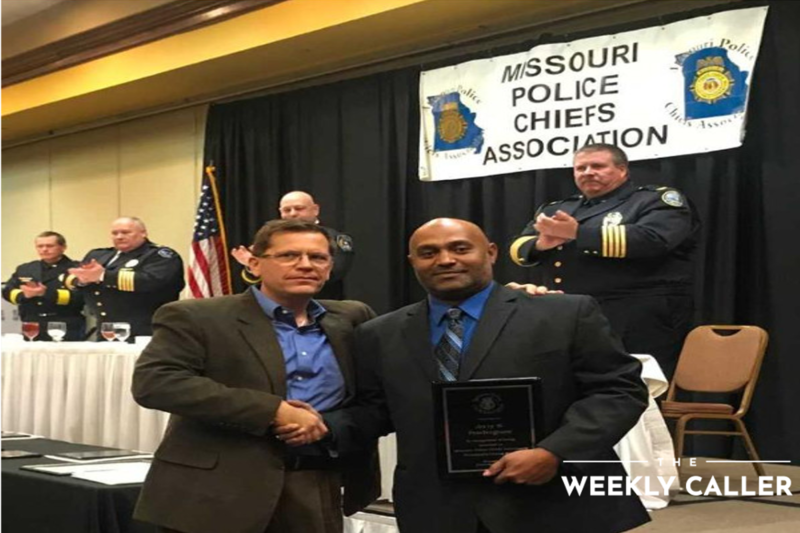 Springfield police and the Missouri Police Chiefs Association awarded Pendergrass the President’s Citizen Award. The incident happened on June 4, 2018. That night was life ending for one man and life-changing for several others. According to the Media, a black man who uses a gun to save a police officer, then is given an award for it by the state Association of Chiefs of Police, is a classic “man bites dog” story. It is very rare, unusual, and, therefore, newsworthy. Where is the AP headline of this fascinating item? Getting involved in a gunfight is a perilous activity for anyone. Either side, or both, may consider you a threat and target you. Armed citizens are sometimes mistakenly shot by police. If you go to the aid of a police officer, attempt to understand is what is happening. Take care in what you do. Aiding a single officer is less dangerous than multiple officers. Almost all successful examples of armed citizens aiding police are where the citizen comes to the aid of a singe officer who is under attack. Armed citizens still come to the aid of police. Police and armed citizens are natural allies. When the police trust citizens, and citizens trust the police, crime rates fall too low levels. A significant number of armed citizens have saved police officers. Those saves become national news in police circles. If the national media wasn’t biased and politically driven in favor of “Progressives”, these stories would be national news for everyone.